December is the perfect time to forget about all the problems (they won’t go anywhere) and spend this beautiful, festive month in a merry atmosphere. This year, I will try to do something wintery and Christmasy every day of December (I wouldn’t want them to slip away too easily) and I invite everyone to do the same! Ice skating, trying out new Christmas recipes, finding or making original gifts for the people you love, crafting personalized Christmas ornaments, decorating every inch of your home, watching winter movies with your family, taking long walks around town to admire the Christmas lights, having a cup of mulled wine or hot tea… the list is infinite. 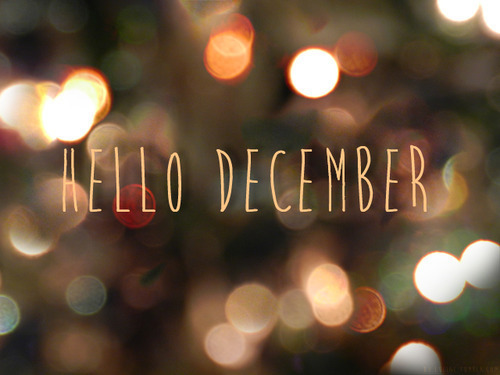 Regardless of all the problems that happen through the year, I really think December is the perfect time to forget about them, at least for a little while. They will still be here in January, and why waste a beautiful, festive month on something that will not change untill the next year. Rather, just forget all that is negative and keep in mind… ‘Tis the season to be jolly!